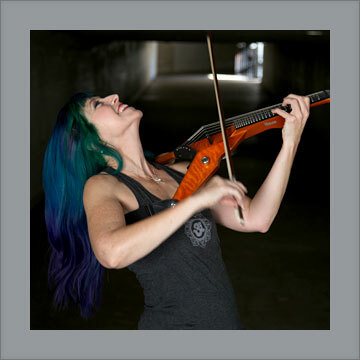 "Just Getting Good" is a solo, live-looping multimedia concert combining vocals and electric violin in a one-woman pop symphony of song. 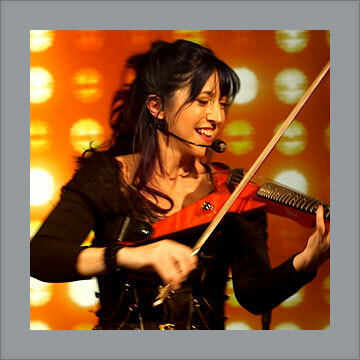 Audiences are entranced by watching Val "live loop" her voice with her 6-string "Viper" violin to make it sound like she's got a full band with orchestra backing her. Val straddles the line between rock, folk, and theatre with her intricate, uplifting, joyous performance. Playing a range of music, from innovative mash-ups of beloved familiar tunes to Val's own songs from Disney films and Off-Broadway, she leaves audiences feeling not only connected and inspired by her electrifying, deeply emotional performance, but also breathless and amazed by her technology-meets-art sensation of a show. 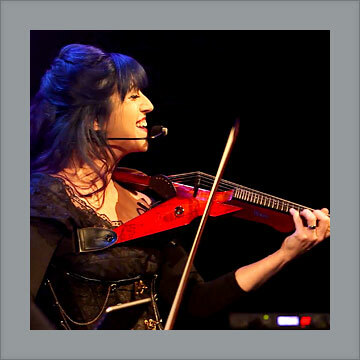 After touring the world with Cyndi Lauper, Joe Jackson and the Trans-Siberian Orchestra, releasing 8 albums with her indie band GrooveLily and co-writing 10 musicals that have played around the country and off-Broadway, Val is thrilled to be spreading her wings as a soloist. As a classically-trained musician, accelerated honors graduate of Princeton University, former Army lieutenant, and mom, she also delights in doing residencies and outreach activities, through which she reconnects students with the joy of making music by bringing high-octane, physically embodied performance to her teaching. Truly amazing, an awesome vision of embodied musicality, moving as one with her violin, making it sing and singing along with it in a voice both smoky and angelic. Valerie was such a delight!...The crowds were completely enthralled. Her winning personality came across just as much as her musical talent and beautiful voice...the show was a huge hit. Watching Valerie Vigoda is an experience like no other and one you and your audiences will never forget. She masterfully weaves art—in musical form—right before your eyes; you witness the moment of artistic creation, as a tapestry of musical magnificence unfolds. Not only was the show unbelievably energetic, but Ms. Vigoda went to our local high school and ... They loved her. Unique, interesting, engaging, and awesome - all words associated with Valerie's performance! 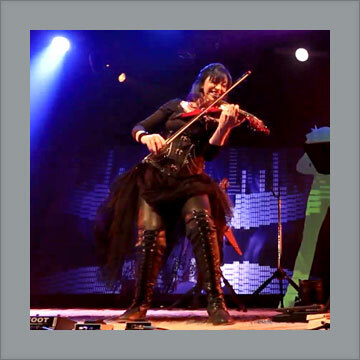 Valerie Vigoda is one of those talents that inspire both awe and a sense of joy in audiences; her solo show using looping techniques has a 21st-century musicality that is hard to resist.